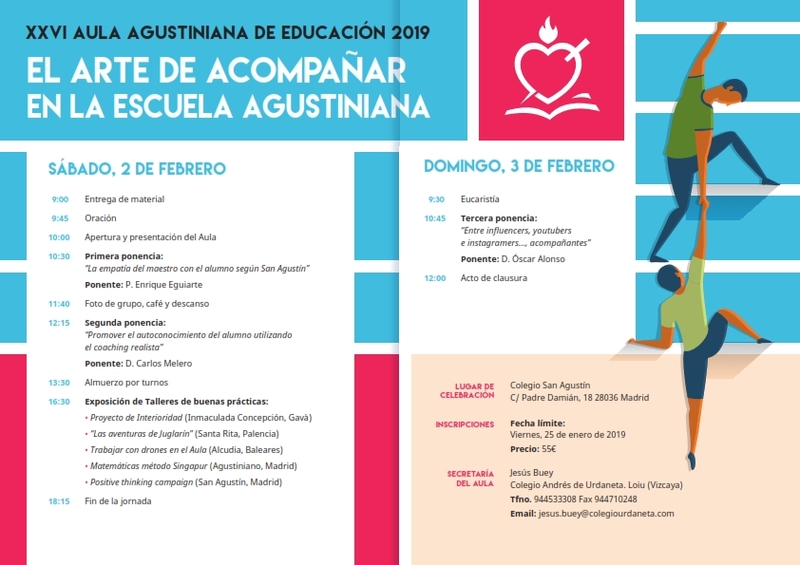 ROME – The 26th edition of the “Aula Agustiniana de Educación” held last February 2-3, 2019 in Madrid saw Fray Enrique Eguiarte, OAR delivering his talk on the teacher’s empathy with the student according to St. Augustine. This year the meeting that brought together all the educational centers of the Augustinians, Augustinian Recollects, Agustinas Misioneras, Agustinas Hermanas del Amparo, and Misioneras Agustinas Recoletas focused on the art of companioning in the Augustinian school. 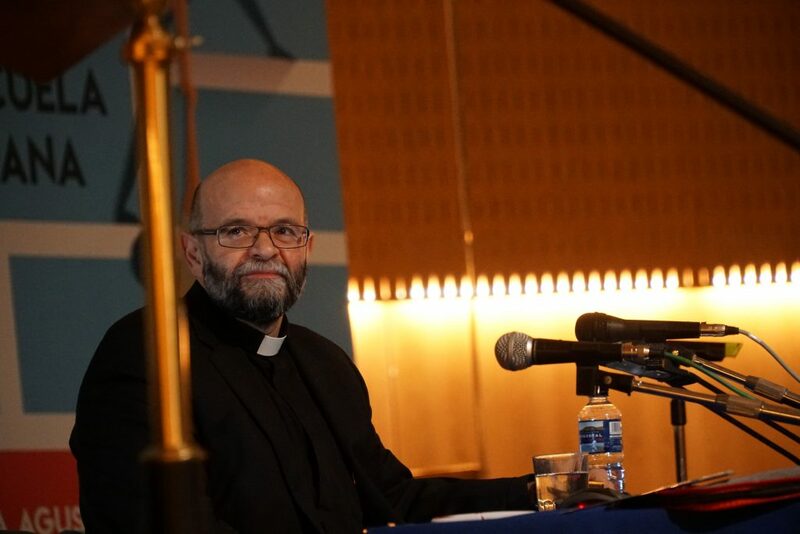 Fray Eguiarte, a great expert of the work of the Bishop of Hippo, began the meeting with the first presentation in which he expounded Augustine’s doctrine on the teacher’s companioning method, being a reference for the student. The Augustinian Recollect friar showed in his presentation that, in order to communicate, one needs to connect. The manner of presenting the contents is also the way to receive them. “If a teacher presents the content with interesting elements, the student will take it as something interesting. If a professor presents a content in a way that is wearisome, routine and boring, the student will take it up in the same way,” he said. In this token, Fray Eguiarte indicated that the great challenge that exists today in the classrooms is to accompany the learning process of the students. The teacher must know the environment in which this process is developed in order to engage with them and to connect the contents, not only the intellectual ones but also the contents of faith. “For St. Augustine, not only is knowledge (scientia) from human knowledge important, but also wisdom (sapientia), that is to say, that which belongs to the Kingdom of Heaven,” he explained. 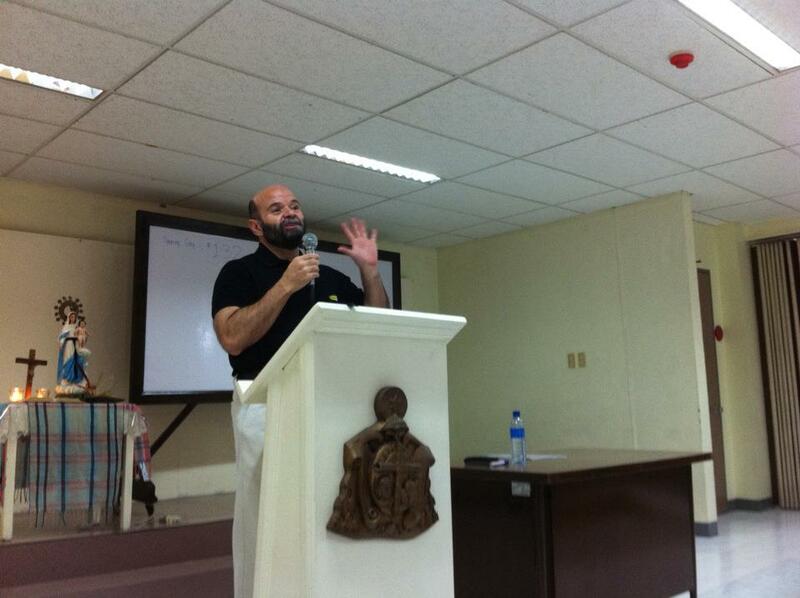 Fray Enrique Eguiarte also reflected on the importance of the teacher in teaching. The teacher has the responsibility to develop two elements within the student: first, academic excellence, which St. Augustine calls science, in order to have a student who is well prepared in all competencies; and the second is the construction and education of the student, in order that he may enter the wisdom of God that leads to the Kingdom of Heaven. “We empathize from the perspective of contents and wisdom,” he said. Lastly, Fray Eguiarte concluded by analyzing the pedagogical method of St. Augustine who took teaching as his main vocation. This method mainly focuses on decorum, a pedagogical tool that was very useful for St. Augustine in the application and search for empathy with the students. “St. Augustine takes up this rhetorical tool for pedagogy by looking for elements that appeal to intelligence, feelings, affections, and personal background of the students themselves, so that once connected with them, they (the teachers) can communicate with and teach them,” he concluded.